Anyone with a genuine interest in writing, with a view to not only getting published but also making a career of it, if you might call it that, invariably reads one or more books on writing. There are many books on writing out there, many of them good, several of which I’ve read. But I haven’t come across a book quite like Jeff VanderMeer’s Booklife. Most books on writing focus purely on the craft of writing, how to make your story the best it can be so it presumably has the best chance of getting published. I say ‘presumably’ because most books on writing correctly make the assumption that the writer wants to be published (a given if you have bought the book) and therefore spend very little time discussing the publishing side of the equation. Booklife looks at the equation the other way round; VanderMeer assumes the writer is doing his/her best in terms of the quality of the writing (although he does spend some time discussing how to get the best out of characters and ideas). The primary focus of this book is how to build a sustainable career in writing, accepting the likelihood that you’ll never make a living at it. What lends the book real value is the knowledge VanderMeer brings to bear on the modern realities of marketing yourself and networking to best advantage, knowledge gained the hard way over twenty-five years in writing, editing and publishing. Booklife is divided into two main sections, one devoted to the public side of a writing career (i.e. marketing and networking), the other to the private side (i.e. the actual writing), with a short section in the middle that talks about how best to handle the plethora of normal daily demands on time and remain physically and mentally healthy. The public section discusses the development of strategies for building a career in writing, reviews most of the major platforms that can be used in making people aware of your existence (Facebook, Twitter, Blogs, YouTube, etc. ), and outlines potential levels of involvement (i.e. just how much time you want to spend of this side of your writing life). The private section discusses how best to ring fence and protect the time you spend writing, strategies for dealing with rejection, and approaches to keeping your work fresh and vital. There is also a substantial appendices section, mostly written by friends and colleagues of VanderMeer’s that detail aspects of the publishing industry such as what agents expect/hope for in a writer, how to outline a PR plan, write a press release, how to manage your reputation, etc. There is a point about midway through the first section where things start to sound, briefly, very much like any number of corporate strategy development books I read in a previous life, but I can’t stress how important it is to keep reading. Because the fact is that VanderMeer is right. If you seriously want to create the best chances to make a career for yourself you can’t ignore the need to tackle the modern realities of the publishing industry almost like a military campaign (although he does stress that managing the public side of your writing life can and should also be fun). 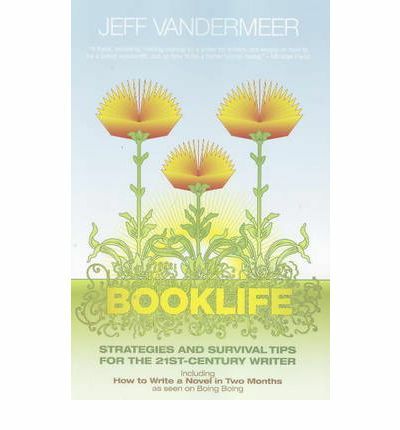 I should say here that despite my corporate strategy quip, Booklife is immensely readable, with VanderMeer’s enthusiasm and dedication shining through. For anyone confused by the sheer vastness of avenues for marketing yourself and networking, this book is a must. For anyone struggling to make time for writing, this book is a must. Shame on me. I purchased this book last year haven’t read it yet. Thank you for the great insights, John. I’ll pick it up soon.